On 26 November 2014, Futoshi Toba, Mayor of Rikuzentakata, presented U.S. 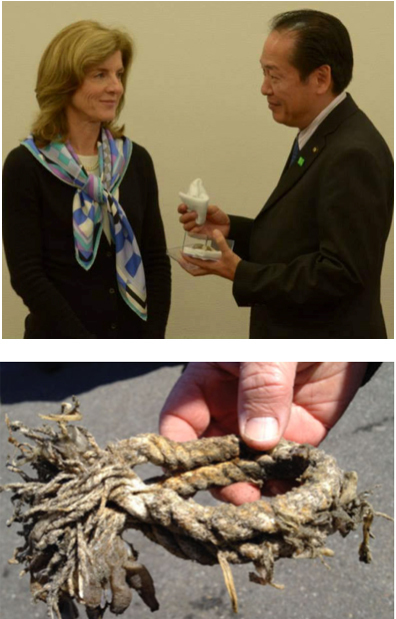 Ambassador Caroline Kennedy with the saved remnant of Kamome’s stern line, which is now on display at the U.S. Embassy in Tokyo. Also in 2014, Kamome was installed in the National Tokyo Museum as part of a special exhibit on the 2011 tsunami and recovery.